The worlds biggest and most popular cruise line, Carnival with 24 Las Vegas-resort-style ‘funships’, operates from 15 US ports to popular destinations including The Bahamas, Caribbean, Hawaii, Mexican Riviera, Alaska, Bermuda, Canada & New England and Europe, and in the near future, will also be adding Australia, New Zealand and SE Asia to its list of fabulous destinations. 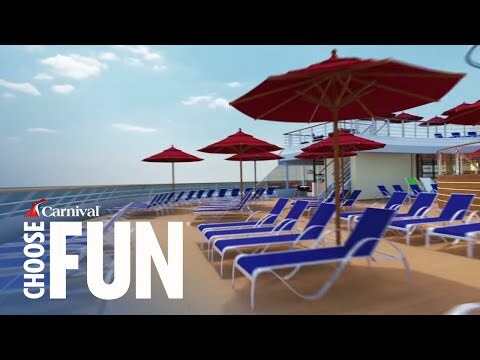 Carnival has packaged a cruise experience that appeals to active cruisers of all ages. Although the ships’ “fun” image is geared to the young, the average passenger’s age is around 40 years . Carnival is a good choice for first time cruisers, couples, singles, and multi-generational families looking for a non-stop good time, glamorous surroundings and glitzy entertainment. Carnival is an equal-opportunity company and attracts the highest number of Indians, so much so that some of the top management are Indians who have risen from the ranks. At Carnival, they believe in frequent assessments and swift promotions for the deserving. Apart from offering great career growth, competitive pay and short renewable contracts, and a superb work environment, all these make Carnival the cruise line of choice for Indian hotel staff.